Learn how we’re creating new secure homes for threatened fish species. We have already delivered 19 new habitats for threatened fish species, and more to come. 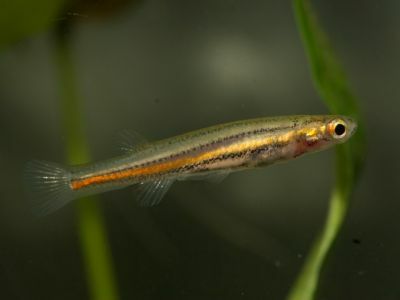 Dwarf galaxias and Yarra pygmy perch were once abundant in Dandenong Creek. However, due to impacts such as predation by pest fish, and habitat loss from changes in land use and hydrology, they have become highly restricted in numbers or locally extinct. 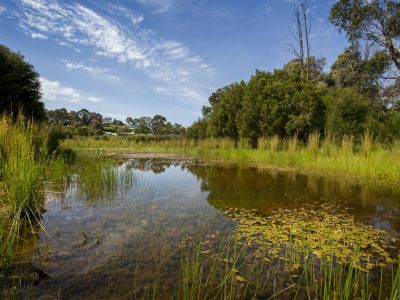 Our Threatened Fish Program seeks to re-establish healthy and sustainable populations of dwarf galaxias and Yarra pygmy perch along the Dandenong Creek corridor. 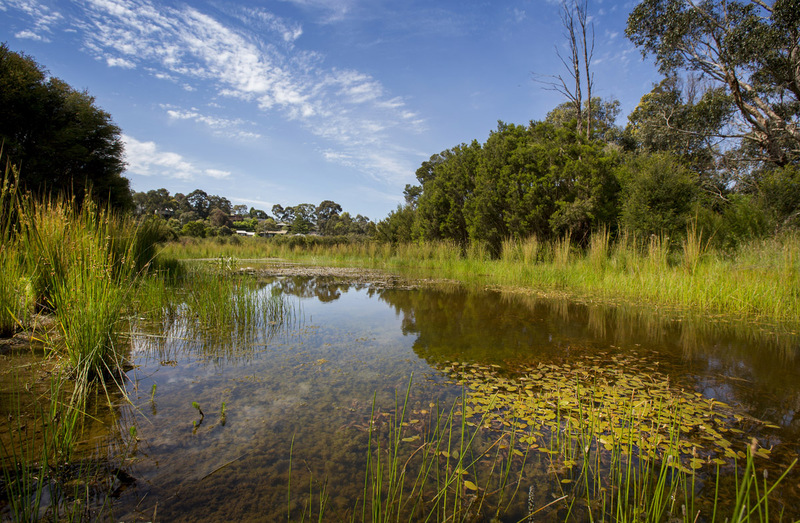 We have successfully constructed and revegetated 19 sites along Dandenong Creek, between Dandenong North and Heathmont. To complement these works, we have been breeding fish at a specially designed nursery habitat. In April 2017, over 600 dwarf galaxias moved into one of their new homes in Rowville. 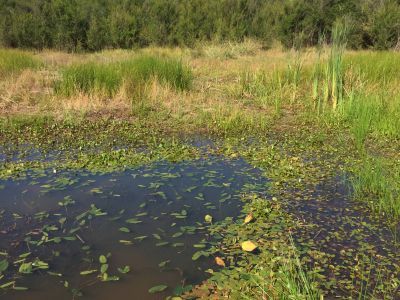 The fish spend most of their time in small wetlands and billabongs on the floodplain, and mostly enter the creek during flood events to find other suitable floodplain habitats. 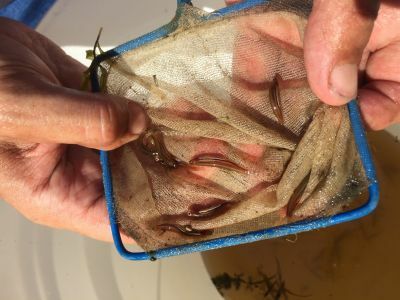 To ensure the new habitats are providing sufficient protection against pest fish (such as eastern gambusia), and are sustainable during dry periods, we are undertaking ongoing maintenance and monitoring. Male dwarf galaxias develop a bright orange-red stripe along their sides and are smaller than females. 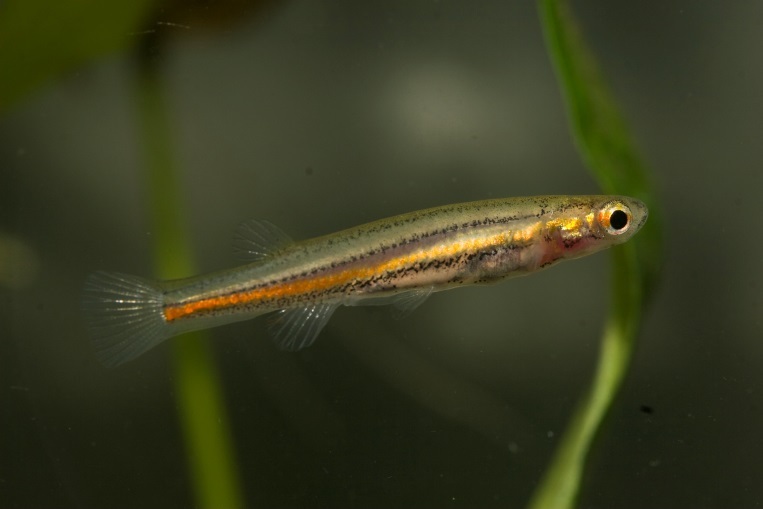 During floods, dwarf galaxias will move along the creek corridor seeking new habitats. Dwarf galaxias predominantly live for only one year, dying soon after breeding. When their habitat dries up, they can survive for weeks to months by hiding in moisture pockets underneath vegetation, in crayfish burrows and under leaf litter. Dwarf galaxias rarely exceed 4cm in length. They are in a very small percentage of the world's fish that are able to air-breathe. Follow up monitoring at these sites has indicated successful breeding of dwarf galaxias. We will be translocating the newly bred dwarf galaxias and Yarra pygmy perch in the coming months. Follow this project to make sure you're up to date with what's to come. 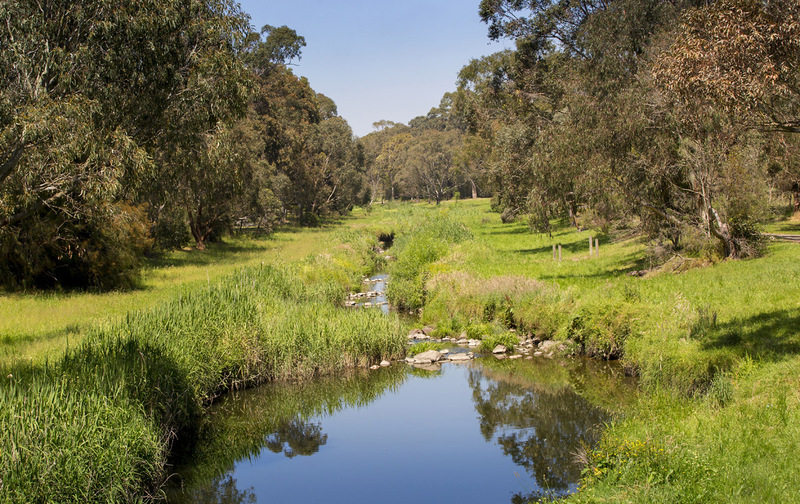 We worked in partnership with EPA to establish the Enhancing Our Dandenong Creek program. The Threatened Fish Program was identified as a key project to improve and protect aquatic ecosystems of the area. We researched and investigated potential sites for new habitats, or existing sites that needed some improvement. 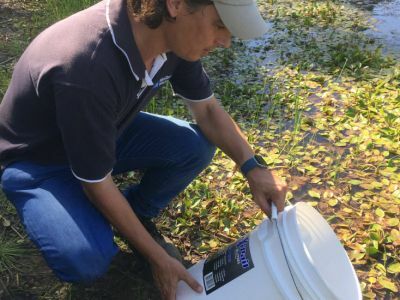 Working with ecological experts, we developed a fish stocking strategy to find out where to source fish, how many to collect, where to breed them and when to translocate them. 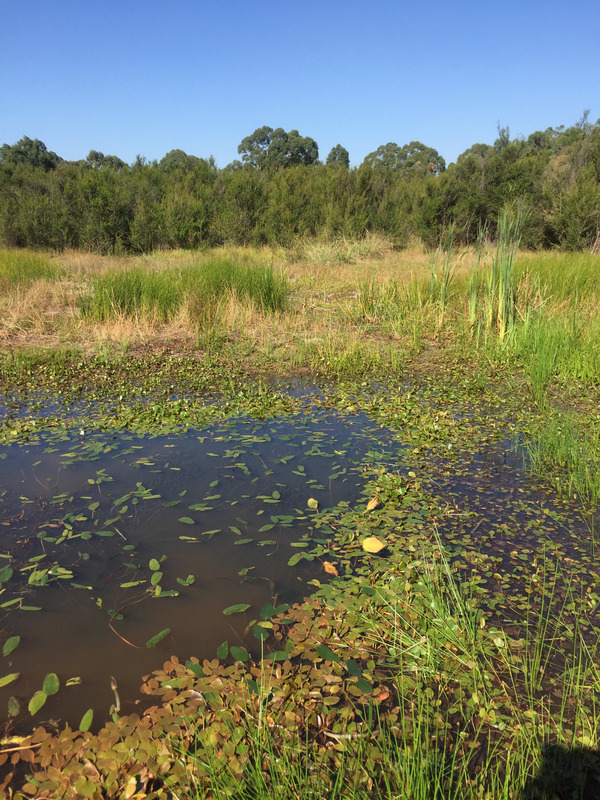 We planned and designed native fish habitats to ensure fish had suitable water regimes and aquatic vegetation, while considering the need to balance the ability to move between habitats and protection from pest fish. We collected the dwarf galaxias from key sites to ensure genetic diversity as part of the fish stocking strategy. 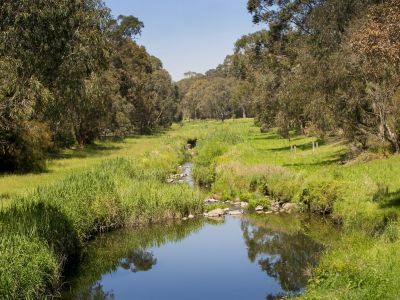 We commenced construction of 20 sites along Dandenong Creek, working with Parks Victoria and Knox City Council, Monash City Council and Maroondah City Council. We translocated 600 dwarf galaxias from the breeding site to one of their new homes, ahead of their breeding season. 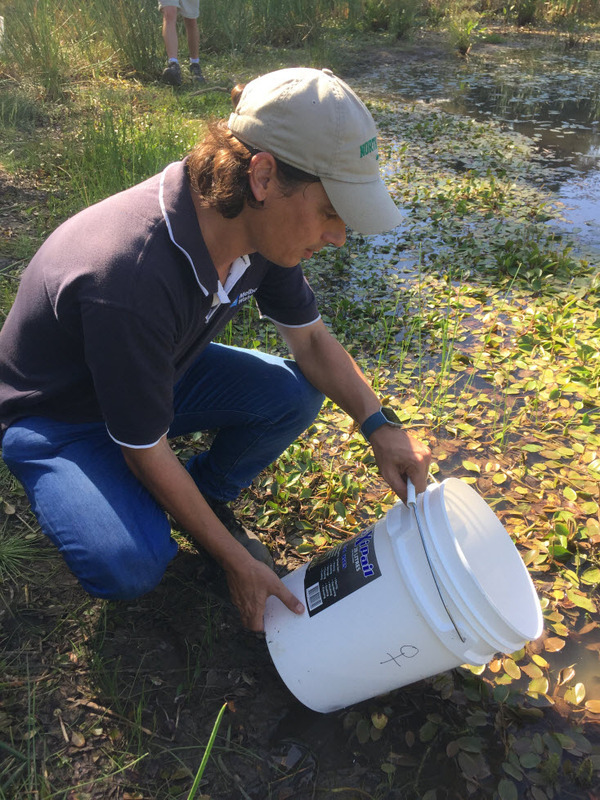 We collected the Yarra pygmy perch from key sites to ensure genetic diversity as part of the fish stocking program. We are continuing to build the remaining homes for the dwarf galaxias and Yarra pygmy perch.